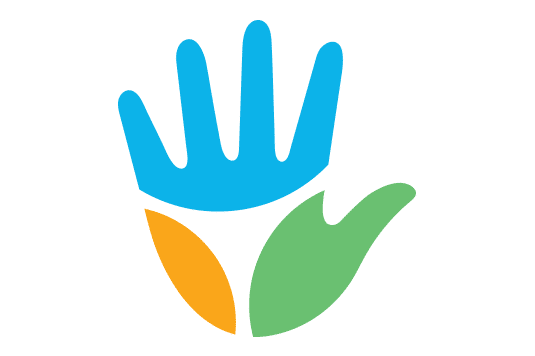 The Handprint is an innovative and holistic approach to facilitate the measurement, evaluation, and communication of the ecological, economic and social sustainability impacts of products. The existing approach of the footprint focuses on negative ecological impacts on individuals, organizations or countries. The handprint on the other hand shall determine, measure and evaluate the positive sustainability impacts including the social and economic dimension. 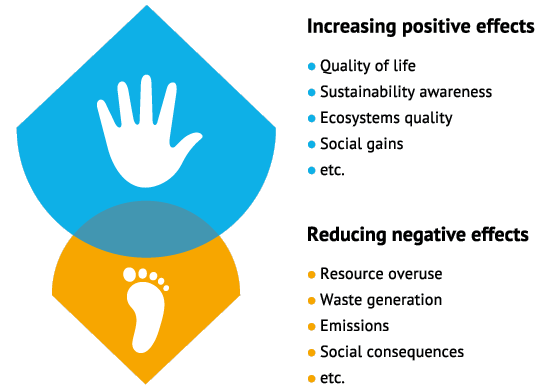 While the widespread footprint is used to metaphorically symbolise negative impacts the handprint represents the positive and innovative management contributing to a sustainable development. For the development of the methodology, CSCP first of all brings to the table its expertise in the field of application-oriented sustainability assessment. In addition, CSCP will be be responsible for the application of the methodology in practice in the consumer goods branch (Starting October 2016). Further case studies will be conducted in the food and living/construction branch. It is in the nature of the handprint that it won’t always be easy to measure. Nevertheless a development towards an objective evaluation is possible and necessary. An example of the necessity to consider positive as well as negative assessment criteria is the cultivation of organic cotton or grain: Due to lower yields in ecological agriculture more land is needed (footprint). In contrast ecological agriculture in general goes along with more humus formation, more micro-bacterial activity and an increased biodiversity (handprint). The approach goes along with more transparency of a product’s sustainability impacts and can therefore support economic actors to meet the requirements of society. In this context the handprint can play a key role regarding to the communication of the sustainability performance. In order to spread the philosophy of thinking sustainability in a positive and hence, the handprint concept, CSCP works intensively on the creation of a global meta-network, also linking to similar initiatives. The CSCP is the consortium leader of the project. Project partners are the Centre for Sustainability Management (CSM) of the Leuphana University Lüneburg, the University of Hohenheim and the Zentrum für Nachhaltige Unternehmensführung (ZNU) of the University of Witten/Herdecke. The project is funded by the German Federal Ministry of Education and Research (BMBF).